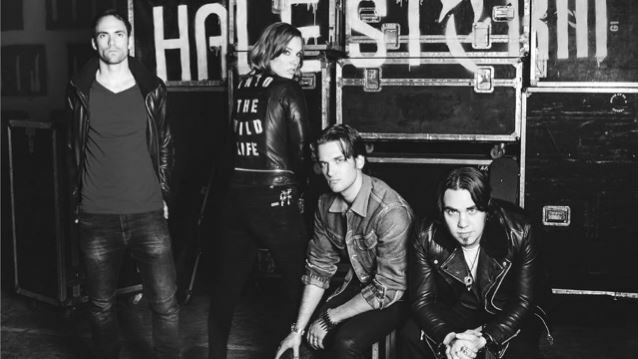 HALESTORM released its new single, "Apocalyptic", on Monday (January 12) and singer Lzzy Hale told The Pulse Of Radio that the song strikes a middle ground between the band's older material and the new directions it's exploring on its next record. "I didn't want to scare you guys too much with the first single [laughs], so we decided to go with this one. But there's a lot on this record that… I don't know, you just kind of throw caution to the wind, and there's a certain freedom that comes with that. But then there's also this kind of, there's a nervousness. But, you know, bottom line is that we came out with a record that we're really proud of." "Apocalyptic" is taken from HALESTORM's third studio album, "Into The Wild Life", which will be released in Europe on April 3 and North America on April 7. "Into The Wild Life" follows up HALESTORM's Grammy-winning 2012 sophomore effort, "The Strange Case Of…"
The new disc was recorded last year in Nashville and features 13 new songs. 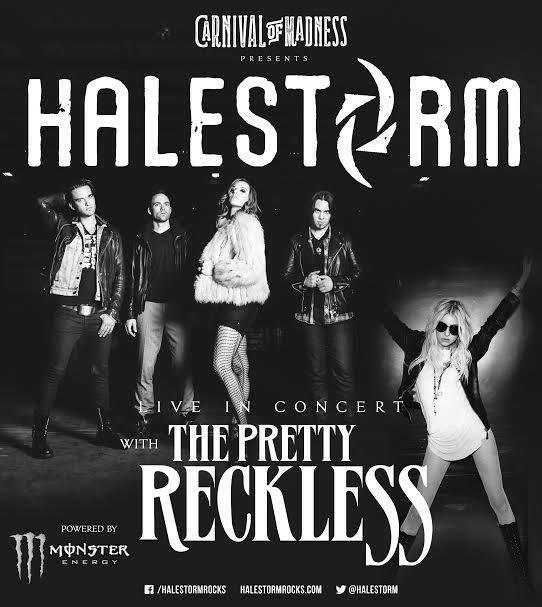 HALESTORM is currently touring with Eric Church and has announced a series of live dates with THE PRETTY RECKLESS that will begin in late April. A pre-sale for the Asbury Park show is available at Ticketmaster.com. Use password "BLABBERMOUTH" to get special presale tickets for this gig.